Well I just got a glimpse of the new dinar notes. They should be in circulation any day now, and I must say they turned out rather well. 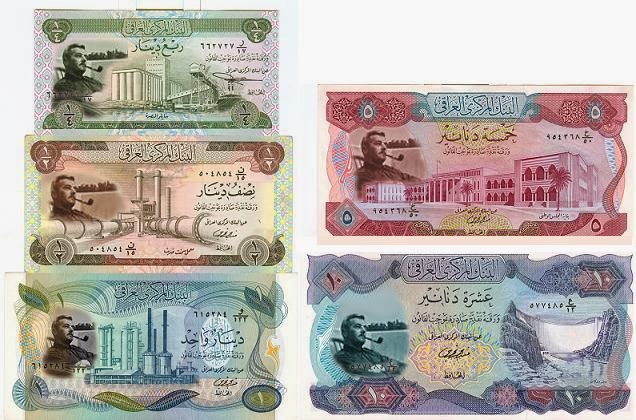 All kidding aside, a recent article from Iraq reports that they’re printing new banknotes in Iraq, only they’re not the new “lower denoms” that the gurus have been telling us about for years now …. you know, the ones that would reflect a 100,000% increase in the IQD’s value. No, these are new 250, 500, 1,000, 5,000, 10,000, and 25,000 dinar notes which are already in circulation. They’re being given a facelift with new designs and security measures as well as features for the blind. Okay, the gurus have been telling us for years that Iraq is pulling the three zero notes out of circulation. They claim that this is what the CBI means by “deleting three zeros”. Now correct me if I’m wrong, but don’t the 1,000, 5,000, 10,000, and 25,000 notes all have three zeros? And they’re printing more? Supposedly they’re reducing the money supply in preparation for an RV, but they’re printing more?? All of the three zero notes have been sucked in, but they’re printing more??? Does any of this make sense? Or could this just be further evidence that increasing the value of the dinar is the last thing on their minds, and that these gurus are just as clueless as I’ve been saying they are for 2.5 years now? A week ago they were talking about the articles that told the Iraqis to take care of those dinar notes. 4-6-2014 BGG …if the CBI truly intended to keep the value at 1166 – would it not be a reasonable conclusion they would regularly replace the worn and damaged currency? This has been a source of major complaint for some time now…any normal economy has a plan in place for removal and replacement of worn and damaged currency. The US replaces significant amounts of our currency on a regular basis. This is a common practice. Not in Iraq (currently) – Why? 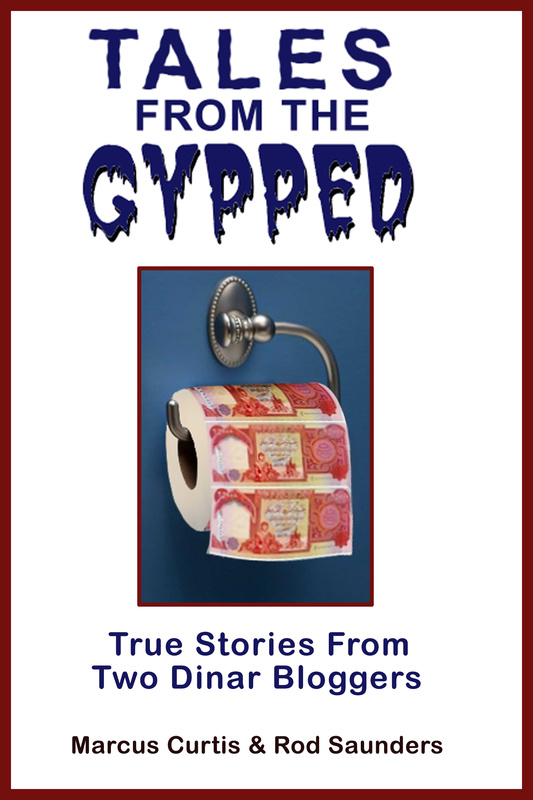 4-11-04 DON’T WORRY ABOUT THE REPRINTING OF MORE CURRENCY, THAT IS A GOOD THING…SINCE THE SMALLER DENOMS WERE PRINTED IN 2011 THEY HAVE RELEASED BILLION MORE DINAR SO IT IS OBVIOUS THEY WILL NEED MORE LD’S THAN THEY FIRST PRINTED AND THEY ARE ADDING A LITTLE MORE SECURITY. ALL THIS IS GOOD NOT BAD. So you see, whether their worn out currency is or isn’t being replaced … IT’S ALL GOOD NEWS! Amazing, huh? It was amusing to hear these nimrods stumble around as they tried to explain how “this is good for our investment”. Most suggested that the larger three zero notes would be used for bank to bank transfers, even though those transfers are done electronically in the 21st century. And even if they did need three zero notes for those transactions, why do they need to add features for the blind? Is blindness rampant with Iraqi bankers? Do bankers really need more vibrant colors and a picture of a tractor “plowing a new earth”? Unfortunately most of the sheeple seemed to accept this as good news and fell in line with the mantra “GO RV!”. I think it’s safe to say that if this article is accurate, the currency reform is still a long ways off, and the CBI plans on keeping the value about where it is for quite some time. Good news for the scammers, but bad news for everybody else concerned as this charade continues into what seems like perpetuity.